At the beginning of the year I joined the Wartime Wardrobe Challenge, a fun way to monitor and limit consumption by using the clothes rationing coupon system used in the UK during WWII, when supplies and raw materials were limited. I started with 66 point and they were supposed to last me all year. Well, I’m out. I’m out of points so I’m bowing out of the challenge. I did learn a few things from it though. First, if it really was wartime, and my brothers and husband were off fighting Nazis and fascists, I probably wouldn’t feel like shopping. 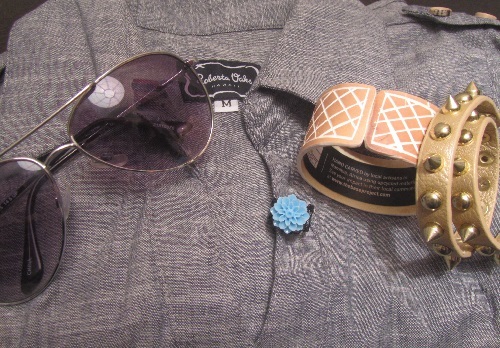 Second, I didn’t really change my shopping habits or use my points carefully. Every month or so I’d remember the challenge and tally up what I’d bought and how many points it was going to cost me. I knew that for every coupon overspend, I’d need to donate to charity. I already do that and I’d have to buy a lot more to catch up with the amount I’ve already given. Third, our economy relies of the exchange of goods and services. If everyone stopped shopping, it wouldn’t be a good thing. That said, living within ones means is really important–being in debt is dangerous. I like shopping second-hand–it’s a great way to make my shopping dollar stretch further–but charities aren’t always perfect. Sometimes their workers are exploited while their CEOs make millions. Sometimes the things Americans don’t buy get shipped to Africa, essentially ruining their domestic textile markets. An example of something I bought that meets these criteria is the pair of Novacas boots I bought. They’re 100%vegan, from a European worker-friendly factory, and are PVC-free. I got them from a local vegan business, The Chocolate Shoebox, that I was happy to support. I also recently ordered two pair of jeans from Sonas Denim, a San Francisco company that uses denim scraps to make great new patchwork-style jeans. The company is vegan-owned and donates 10% of its profits to animal welfare groups. 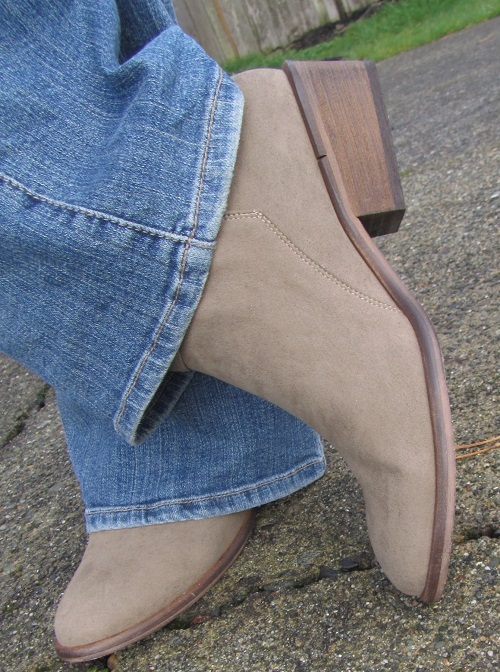 When my new jeans arrive, you can bet I’ll be blogging about them! The Base Project hires African artisans to create one-of-a-kind bracelets from discarded PVC pipe. Brilliant! You can see The Base Project bracelet in this photo, along with another vegan bracelet, handmade ring, and one-of-a-kind dress. I bought them all from Roberta Oaks, a shop owner an up-and-coming designer in Honolulu. Next month, when I visit NYC, I’ll be buying a wool-free winter coat from Vaute Couture, another vegan company I’m happy to support. It’s not my job to single-handedly keep the economy going, and shopping ethically is not a simple thing–there are lots of factors to consider. However, I’m happy to spend when I can afford to and support businesses I believe in. I’m grateful to the Little House in Town and The Double Life of Mrs. M for organizing this challenge and getting me thinking about shopping. You bet! I have a few things in mind that I want to buy in NYC. Going to Mooshoes and Vaute are on my list! On a serious note – you are quite right–who cares about shopping during war, while brothers, husbands and young fathers are in danger?! Your photo of the canon with a myriad of tombstones behind it is a somber reminder of precious lives lost – war is such a waste! 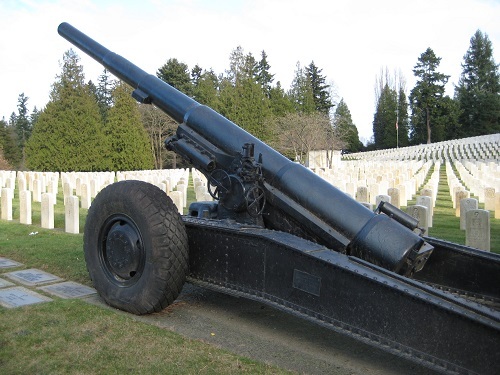 I took that pictures in a local military cemetery here in Seattle. Sobering for sure. It does make one re-evaluate priorities. I agree with you. War is a total waste (lives, money, resources, time). May we extend cruelty free diets to cruelty free humanity!!! Yes! Great point! That’s why I support companies with fair labor practices. The Bangladesh garment factory fire is a sad example of how people risk their lives so we can buy cheap clothes. Point taken…I was actually suggesting a world without wars!!!! Certainly there are many other forms of human cruelty …..I think of a comment by an elder co-worker some 30 years ago lamenting that a corporation would use and abuse employees as much as the corporation could get away with….true of many corporations then and now!!! Jean, thanks for taking part in this challenge, candidly sharing what you learnt and your reasons for stepping out. You raise the valid point that our economies rely on people spending and how if we all just stopped the system would implode. There is some very interesting research going on in the UK and Canada in particular on how the economic model might be tweaked without leading to collapse. My academic interests aside, on a personal level I really struggle with the ethical implications of buying -v- not buying, or buying products made in the UK by skilled craftsmen instead of from some of the companies with better labour practices who source their products from the Indian subcontinent. I totally get your point about not wanting to shop if we were at war. I suspect all our views would be different if we faced war, famine or other catastrophes… And just to reassure you, the wartime angle was not chosen for flippant reasons but because rationing (food, clothes, petrol…) in wartime Britain was driven by and planned out based on resource scarcity. Thanks for your thoughtful reply! I’m glad I took part in the challenge. It got me thinking about consumption and the true cost of clothes. I’m trying to learn more about sourcing too. For example, should I (as someone living in the USA) buy only USA-made items? Or should I be looking at more than origin? How can I help change other manufacturing centers? I’m sure the people in Bangladesh, India, China, etc. who work in textile factories want their jobs. How can I help (from afar) improve their conditions, wages, etc. and still support the local economy. It’s not an easy fix. But at least I’m aware and thinking about it. I’ll look for more reading and resources too and try to find a balance that I feel comfortable with. The Wartime challenge got some of my readers thinking too, so overall it was a good project. Thanks for promoting it! How did I miss this entry? I have been all over the place with work and other stuff for the past month or so, so I suspect I missed quite a bit. But the one thing holding me back is the quantity of new products and their impact overall. That is the ONE thing that hasn’t made me drop the challenge yet, although I’m not promising I won’t have a weak moment and drop it in the end. I agree that the wartime perspective is a difficult to have to throw myself up against each month, particularly because it was a social construct done by all…instead of by 10 or 15 across 2 countries. On one hand, the concept of reduced resources is totally logical for the challenge and sort of tests the “how much is too much?” or “how much is enough?” questions. But part of it feel disingenuous. It’s is a struggle finding the balance between not buying new and supporting vegan businesses. I suspect there isn’t one correct answer. I do wonder how the rationing would be if the whole country was in on it, as they were in WWII. I’m still glad I participated. It’s always great to test why we buy things and think about the reasons behind consumption.